Hi everyone, Dr. Kenny here. Usually I add one post a week that has several recipes but my wife made this low carb pizza last night that was SO GOOD I just had to give you the recipe. Of course you can modify this to your taste, but of course, I think it’s perfect just the way she made it last night. (Now you know why we will soon be celebrating our 29th wedding anniversary, LOL. Now preheat your oven to 400°F. Then slice your eggplants approximately ½ inches thick. After that spread the olive oil over top of the eggplants and let this bake in the oven for approximately twenty minutes, just make sure that their color changes a bit. While the eggplants are baking in the oven take your garlic and onion and put them in a pan over a medium flame and cook until they are nice and soft and then add your ground beef. Just make sure that it’s cooked properly. And make sure you add the seasoning and tomato sauce and stir it all together nicely. Let this all simmer for approximately ten minutes. When the eggplants are done, remove them from the oven and spoon your meat and tomato sauce combination over the eggplants and of course now you add the cheese over top and remaining seasonings. Then just put this in your oven and bake for approximately ten minutes. You want to be sure that the cheese has totally melted. Now you can remove from the oven and enjoy with a beautiful vegetable salad. Next time you are in the office let me know how you like this recipe. As you know you can just call us at 215-821-7336 for your consultation. 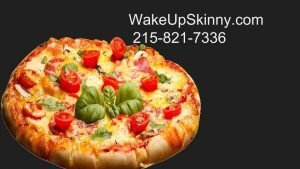 This entry was posted in Diet Doctors in Philadelphia, Medical Weight Loss, weight loss philadelphia and tagged best diet doctors in philadelphia, Medical Weight Loss Philadelphia, medical weight loss videos, weight loss pills in philadelphia on August 11, 2016 by Dr. Michael Kenny.